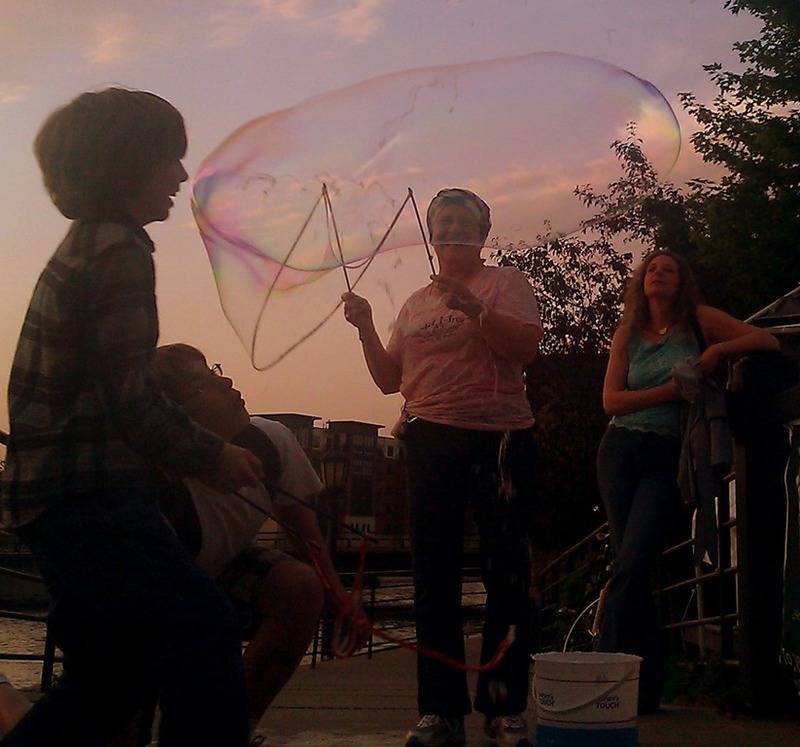 One of the cool things about Northfield’s downtown Riverwalk and footbridge area is that it intersects with the outdoor patio, deck, and stage area of the Contented Cow. So when there’s a big crowd at the Cow for outdoor music, it draws a crowd of observers on the footbridge and Riverwalk. And sometimes entertainers emerge from that crowd. 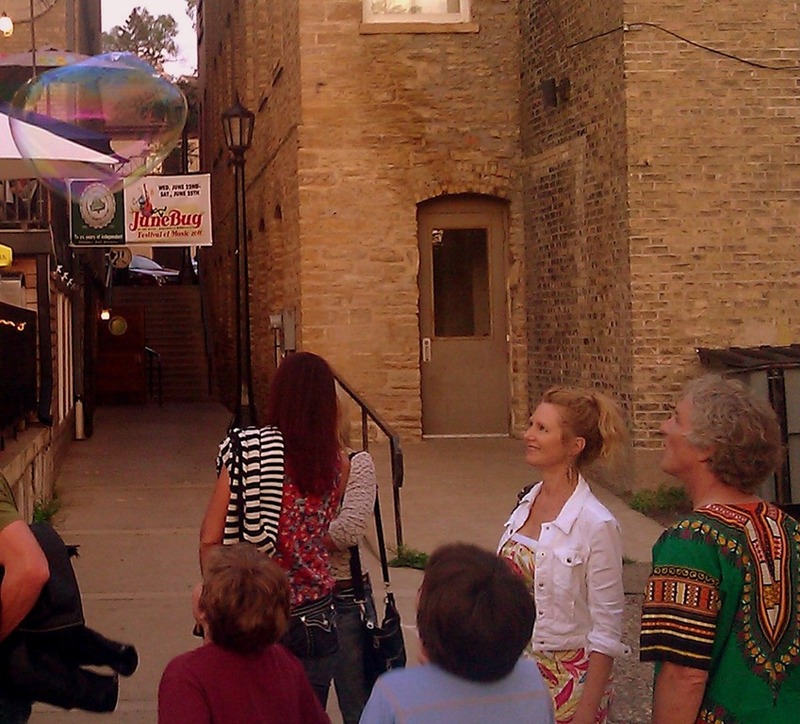 On Friday night during the JuneBug Festival of Music, someone began entertaining the crowd with big soap bubbles. 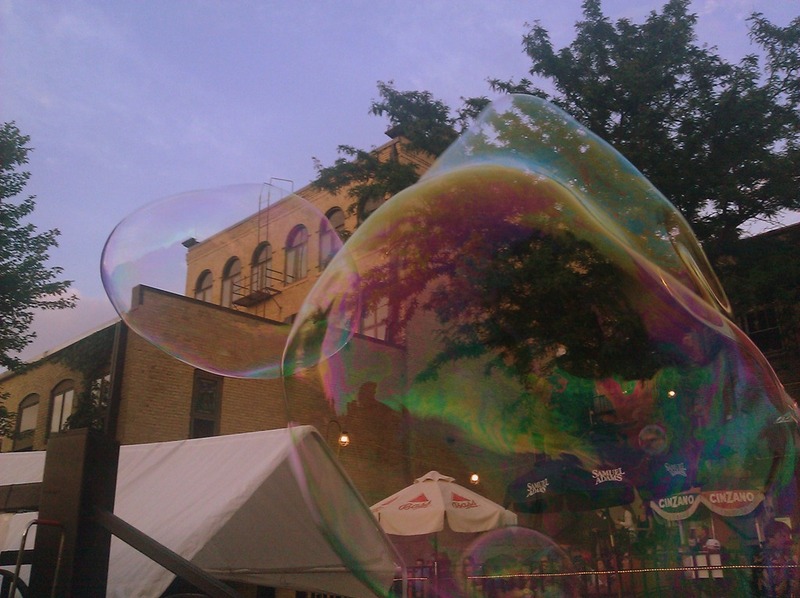 My good camera is in the shop for lens cleaning but I managed to capture a bit of the performance art of big bubbles with my smartphone camera. 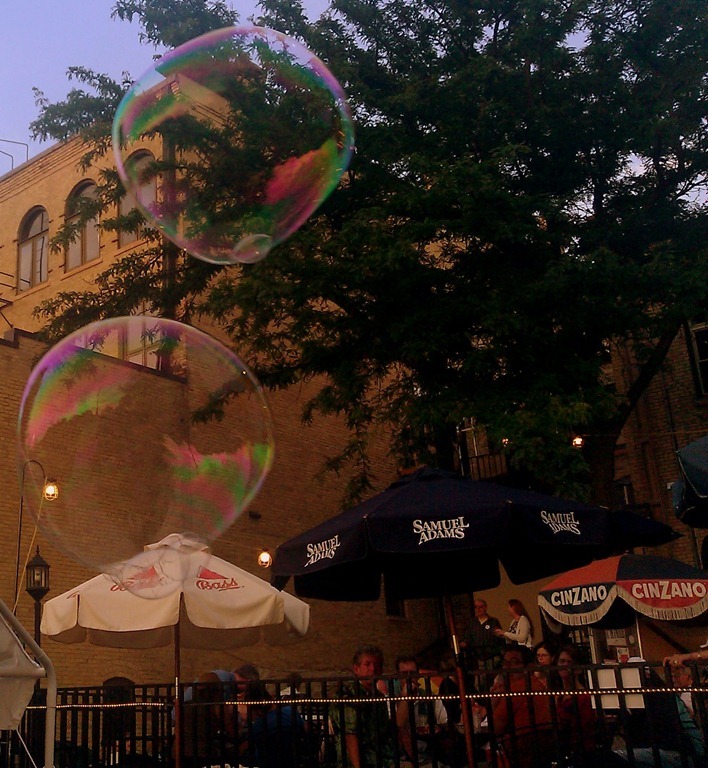 See BigBubblers.com for more about big soap bubbles as performance art.